Thank you again for your generous contribution to Pilgrimage Recording. 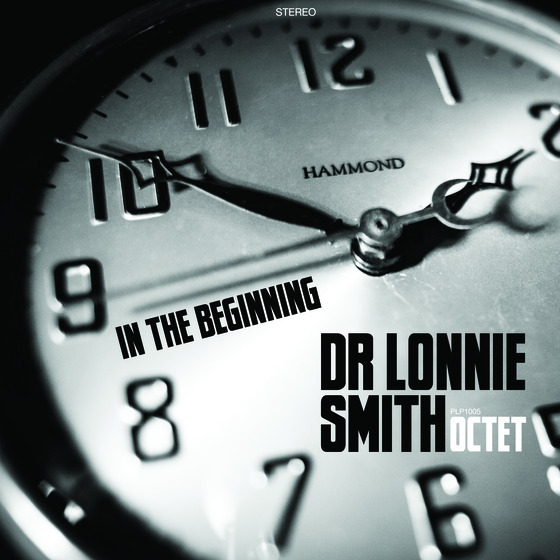 Without you, we would not have been able to release such a magnificent recording as Dr. Lonnie Smith’s In the Beginning. Because of your contribution, Pilgrimage was able to produce In the Beginning as a double-CD, a soon to be realized vinyl LP, posters, and live appearances with the Octet. We are ever grateful, and write to extend our deepest thanks for your patience and support. Come back and check often as these are updated regularly. We hope you are enjoying the music. You had a big part in making it all happen! I still have yet to receive anything beyond a poster (a rather nice one at that, signed and all). They did post access to some mp3s to download but I must have missed the notification email as I didn’t realize that until checking the Kickstarter page just now and the download window has passed. Oh well. I don’t really want downloads, I want what I paid for, ie a vinyl copy of the album and the DVD (on vinyl… just kidding). But now the DVD isn’t happening. I feel sympathy for the good Doctor because I doubt much of this is in his control. Whatever team he put together to manage this thing has done a poor job. In the 18 months since his Kickstarter began and ended, I’ve produced, by myself, one CD with bonus materials (the organissimo Kickstarter) and I’m about to put the finished touches on another CD and DVD project (the Big John Patton tribute) which will go to the duplicators by the end of next week at the latest. It should be noted that the Smith project raised as much money as both of my projects put together. In regards to the DVD, perhaps the producers bit off more than they could chew. Two nights to record an album’s worth of material and produce a high-quality DVD with a large band in front of an audience? That’s ambitious, to say the least. I wonder if they did multiple takes of anything, which is always odd to do in front of an audience, but sometimes undeniably necessary. The only way I captured the wealth of material I did over our three days of recording the Patton tribute was by multiple takes of almost every song. But we didn’t have to worry about a studio audience growing bored out of their minds (“This song AGAIN?”) or witnessing our turpid failings as musicians (which is fully documented in the complete sessionography). What I would do as the producer(s) of this project is level with the backers and explain why it has taken so extraordinarily long to fulfill their obligations, what unforeseen hardships and obstacles they’ve run into in the process, and exactly why the DVD isn’t happening. This would serve two purposes: It would save face and hopefully generate a bit of sympathy towards the people involved instead of simply leaving us hanging with confusion and indignation. And it would also serve as a valuable learning tool for other people considering doing something similar. Crowdfunding and self-producing multimedia products seems to be, for better or worse, the Brave New World of the music business and those of us out here attempting to do the same thing can use all the advice we can get. I love you, Dr. Lonnie! 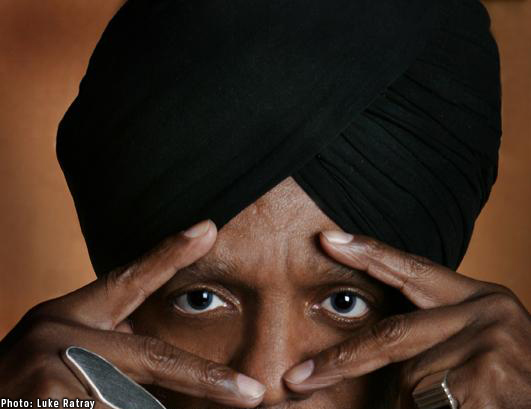 That said, none of this diminishes in the least my respect and love for Dr. Lonnie Smith. He’s one of the masters. I’ll support him again in a heartbeat. And he even listed me as A Friend Indeed on his website and possibly in the CD, so I feel a bit awkward posting this. But it is my hope that this experience can serve as a learning tool for other musicians out there on the trials and tribulations of self-producing your own material. I know I learned a lot from my first Kickstarter (we shipped three months late after all), knowledge that I applied to my second (and we should be shipping on schedule this time!). Here’s hoping the Doctor’s team will let us in on the backstory so we can all learn and hopefully laugh at the absurd but unfortunately necessary situation of producing your own content. Someone over on the organissimo forums asked for the complete sessionography for the Patton tribute recording sessions. If you’re curious what songs we recorded and how many takes on what days, have a gander. All in all, 19 songs were tracked for this project between the original session on February 24, 2013 that initiated the Kickstarter and the three day August 2013 sessions. Here’s a little taste of the upcoming release. I hope to have a preorder page up soon. Good Juice originally appeared on the Blue Note release “Oh Baby!” by Big John Patton. This version features fantastic solos by Dwight Adams and Mark Kieme on trumpet and tenor respectively. Randy Gelispie’s drum solo at the end of the song deftly displays why I’ve been wanting to do a recording project with him for so long. He is a true master, one of the best jazz drummers alive today hands down. It was a true honor to be able to play with him. I’m already planning my next project with him!